Southern Nevada’s dynamic and diverse business and entrepreneurial culture has shaped a complex and truly unique legal environment. 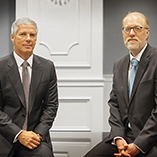 Founding partners Jim Pisanelli and Todd Bice have thrived in this environment, earning reputations as two of the state’s most respected oral advocates, in both trial and appellate courts, for complex commercial and bet-the-company litigation. Their professional history involves work with many high-profile clients, including Wynn Resorts, MGM Resorts International, Las Vegas Convention & Visitors Authority, Nevada Resort Association, Inc. and others. 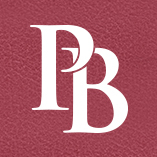 We hold an abiding belief that our small and highly professional team’s central and uniform focus on litigation allows us to work closely with our carefully chosen clientele and concentrate on each specific client’s needs and concerns. We pride ourselves on our acumen, intelligence, and ingenuity, which have long provided success for our clients. The boutique nature of our firm also allows us to implement alternative fee arrangements that benefit the needs and goals of our clients. We work on traditional hourly arrangements and are also open to creative structures based upon shared risk and value. We collaborate closely with our clients to determine a plan that works best for them. In addition to the dedication to our clients, we commit ourselves to community building, charity, and pro bono work. We are dedicated to making our skills and abilities available to the community, including those who cannot afford legal representation. We work for them with equal diligence and meticulous care. We understand the importance of community service, and recognize the necessity of meeting the legal needs of disenfranchised Americans and participating in the development of our Las Vegas community through education and the arts. Our firm provides monetary support, business guidance, advice and leadership to a variety of non-profit organizations, charities and community entities throughout Nevada, including Legal Aid Center of Southern Nevada, The Agassi Foundation, and The Smith Center for the Performing Arts.